On an annual basis, the ratepayers of the U District Business Improvement Area (UDBIA) vote on a budget proposed by a service provider to use the assessed funds to implement the goals of UDBIA. The current service provider for the UDBIA is the U District Partnership, a nonprofit 501(c)(3) organization. 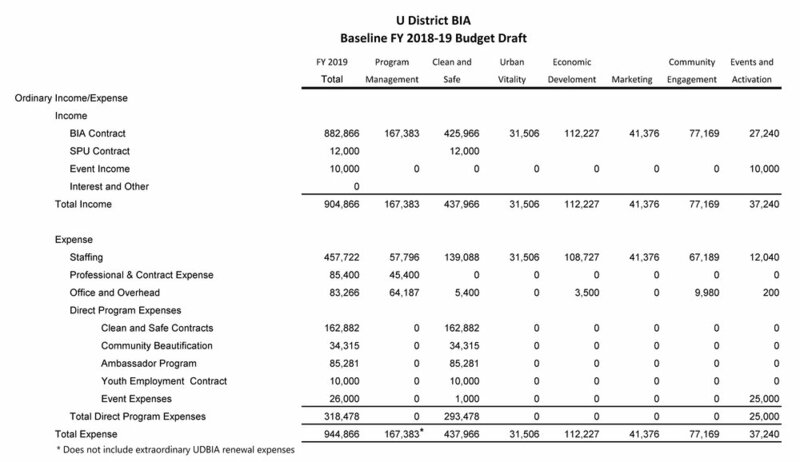 The below budget was approved by the UDBIA Ratepayer Advisory Board and the ratepayers for the 2018-19 fiscal year.